Featured amenities include dry cleaning/laundry services, a 24-hour front desk, and multilingual staff. A roundtrip airport shuttle is complimentary at scheduled times. Grab a bite to eat at the cruise ship's restaurant, which features a bar, or stay in and take advantage of the room service (during limited hours). A complimentary buffet breakfast is included. The birth of Emperor Cruises was inspired by the lavish lifestyle of Emperor Bao Dai, the last Emperor of Vietnam, this masterpiece is designed to reflect the style of the 1930s, and be a haven for the most sophisticated travelers to enjoy Vietnamese culture, fine art, music, history and gourmet cuisine & outdoor activities – all are included. The Cruises are INSPIRED in Design, RICH IN HISTORY and Royal Heritage. We bring guests to Experience Every Moment with us by being treated as kings and queens and experience the best of the best, in privacy, and with every detail attended to. This sophisticated Hotel is set in Halong Bay. Make use of convenient amenities such as complimentary wireless Internet access, concierge services, and gift shops/newsstands. Additional amenities at this hotel include wedding services and a television in a common area. The shuttle (surcharge) will take you to the nearby beach or shopping center. Make yourself at home in one of the 80 guestrooms featuring minibars and flat-screen televisions. Complimentary wireless Internet access keeps you connected, and cable programming is available for your entertainment. Private bathrooms with bathtubs feature complimentary toiletries and slippers. Conveniences include phones, as well as safes and a turndown service. 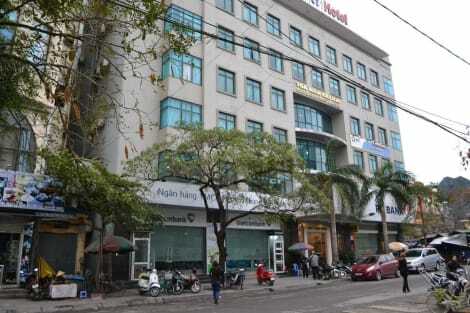 lastminute.com has a fantastic range of hotels in Halong Bay, with everything from cheap hotels to luxurious five star accommodation available. We like to live up to our last minute name so remember you can book any one of our excellent Halong Bay hotels up until midnight and stay the same night.